The Department of Drawings and Prints expands to accommodate scholars from around the world! After over two years of works, the new study room of the Department of Drawings and Prints of the Uffizi has been inaugurated. Each year, the institute welcomes about 1,200 researchers, who come from all over the world, to study and analyze the more than 177,000 works of the Department . It was therefore necessary to create a space proportionate to these numbers. 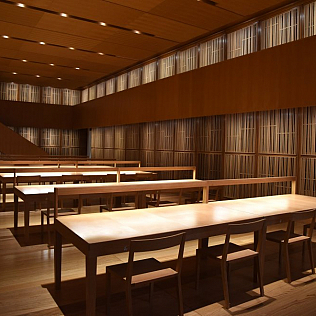 The new hall, which will open to the public by June, has a library and a photo library. The 20 worstations are equipped and they occupy 250 square meters of new space. The Department, an important graphic institute, has a unique collection in the world, it is important to make it available to more scholars. The Edoardo Detti room - the other Department space at the Uffizi - will remain dedicated to the exhibitions. The works were carried out thanks to state funding and the help of the association Friends of Florence and Peter Cundill Study Center.